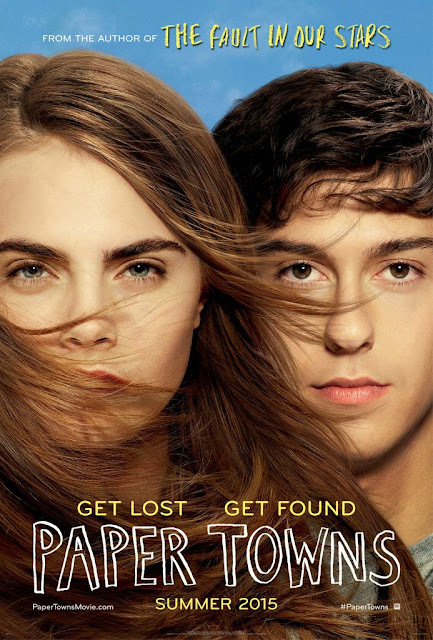 My biggest worry going into this film was the casting of Cara Delevingne as Margo. While she was still not quite the Margo I pictured in my head, she did a decent enough job. She captured the mysteriousness of Margo, the reckless, rebellious side to her very well, which are key to her as a character, of course. However I did feel she lacked a bit of warmth and depth, falling a little flat in her delivery at times - though I will admit, I do struggle to see Delevingne as anyone other than herself, when she is so well-known now as herself, not as an actress. I also would have preferred them to cast someone less famous, like with the supporting cast. But while she wasn't perfect in my eyes, she by no means ruined the film for me. Nat Wolff as Q, on the other hand, was nigh-on perfect. I think we can all relate to Q on some level (I know I did when reading the novel), who is a little awkward, a bit of an outsider, yet funny and charming in his own way. He's not any sort of remarkable person, certainly lacking the popularity and charisma of Margo, but is undeniably likeable to readers, and continued to be on screen. Wolff slips straight into the part, and felt like the Q I remember from the novel. The supporting cast is also excellent, Q's friends played by a group of actors I'd never seen before (Justice Smith, Austin Abrams, Halston Sage, Jaz Sinclair), but all of them slotted together perfect, and had great chemistry as a group, which was very important for those minivan scenes. In terms of the writing, I was very happy about how closely the film followed the plot of the book. It's a great story, with adventure and mystery, mixed with teenage emotions and the struggles of growing up. Each character is unique and well-developed, and everything about the story feels very real. Most importantly, the film retains Green's characteristic style, by incorporating the more unique details - I will never get over how beautifully bizarre the world's largest collection of black Santas is - and many of the book's original lines, such as "What a treacherous thing to believe that a person is more than a person", and the comparisons between Margo, miracles, and mysteries. Some of my favourite lines were missing ("As long as we don't die, this is gonna be one hell of a story"), but films can't follow the book to the letter, and there was enough of the source material retained for this to feel more unique than simply another teen film. And like the book, there is a great balance of big, important themes, and light-hearted comedy, which is intrinsic to Green's books; like the novel, the film made me emotional at times, and had me in fits of giggles at others. Overall, a very strong film, whether you've read the book or not. I heartily recommend the book, of course, and would still prefer it to the film, but I'm very happy that the film did not let me down. My issues with it were so minor that they didn't lessen my enjoyment at all! A poignant, clever, and funny film about growing up, which feels refreshingly unique, for teens and adults alike.